Here is a new Fringe Commercial, featuring the Fefe Dobson song, 'Paranoia' from her upcoming album, Joy (coming this October, 2009). 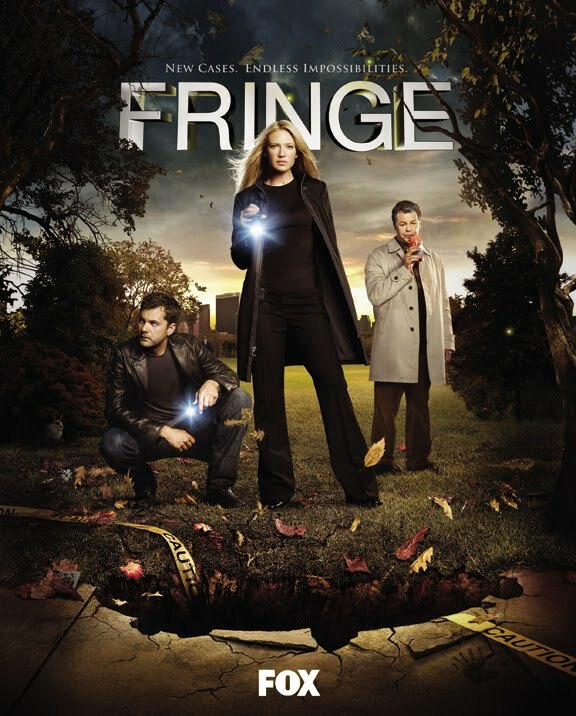 The Season 2 premiere of Fringe airs September 17th, 2009 on Fox. 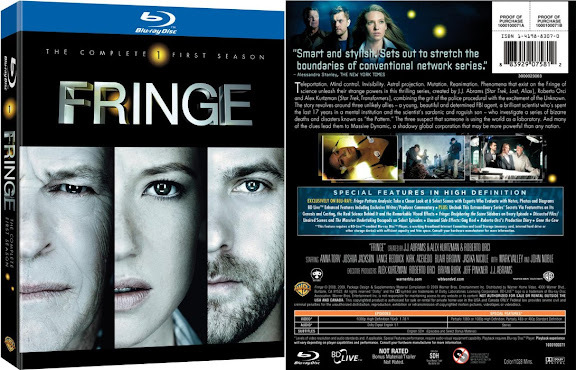 High Def Disc News has a very positive review of the "Fringe: The Complete First Season on Blu-ray", which will be released on September 8th, 2009. VIDEO: translates very nice to Hi-Def ... The amount of detail present in close-ups is at times maybe worth considering 4.5 out of 5 video quality .. much better than the off-air broadcasts on FOX in what I believe is still 720p ... fans of the show that watched it when it aired on FOX are in for a treat here with a whole lot less compression. AUDIO: the show actually pulls off some impressive (at times) surround sound, with Foley and other noises or background chatter, etc making good use of the rear channels as well as using the subwoofer to deliver bass when needed. The show is pretty intense at times thanks to it’s wonderful Score of original music done by Michael Giacchino (who also did the music for “LOST” among other things). EXTRAS: Overall, wow, what can I say? There’s a great deal of very detailed, informative and lengthy supplemental material presented here that is sure to keep fans of the show like myself very busy... after you get done watching the season. 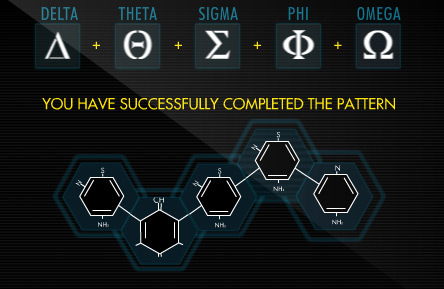 "Evolution: The Genesis of Fringe"
"Behind the Real Science of Fringe"
"Unusual Side Effects: Gag Reel"
"Fringe Pattern Analysis" (HD) is made up of dissected clips from episodes "The Ghost Network", "Power Hungry", "The Equation", "Safe", "The Transformation" & "Unleashed". This allows the viewer to take a closer look at these six select scenes from this season and then dissect each scene using notes, photos and diagrams. Patricia Sheridan of the Post Gazette talked with actor Lance Reddick, who plays Phillip Broyles in the Fox TV series "Fringe". For more Fringe podcasts, head over to the Fringe Podcasts section. Here is the new "Unimaginable" Fringe Commercial for the Season 2 premiere on September 17, 2009 on FOX. 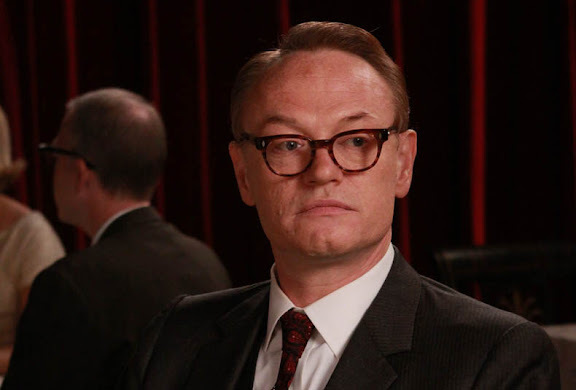 Fringe executive producer Jeff Pinkner discusses the vision of Season 1, Peter Bishop, William Bell, Olivia Dunham, Walter Bishop, and The Observer. Season 2 of Fringe premieres September 17th, 2009 on FOX. 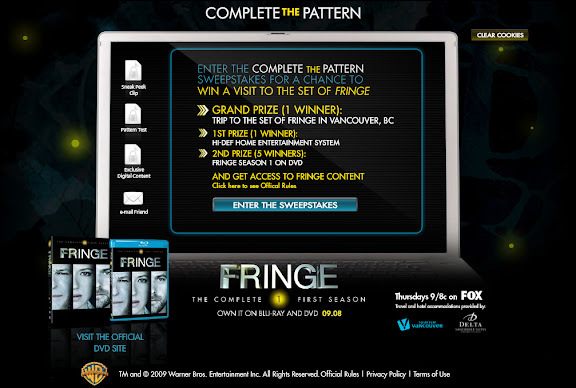 However, if you got a head start and went to the "Phase 2" section, you will see a link to the Official Fringe DVD Website from Warner Bros. The WB Fringe site contains a Season 1 DVD trailer, and other videos clips, including a behind-the-scenes looks at the making of "The Arrival". 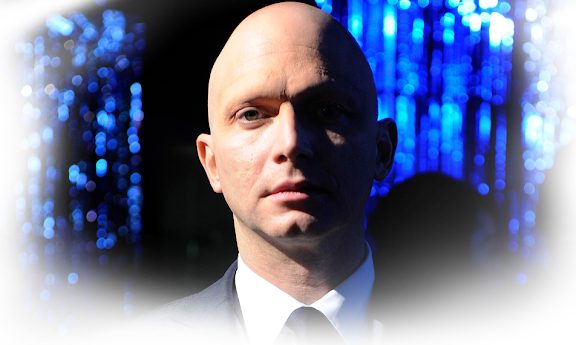 Plus there's Fringe wallpapers, buddy icons, cast bios, an image galley, and this hidden image of The Observer. Here is a new Fringe Commercial for the Season 2 premiere on Spetember 17, 2009 on FOX. 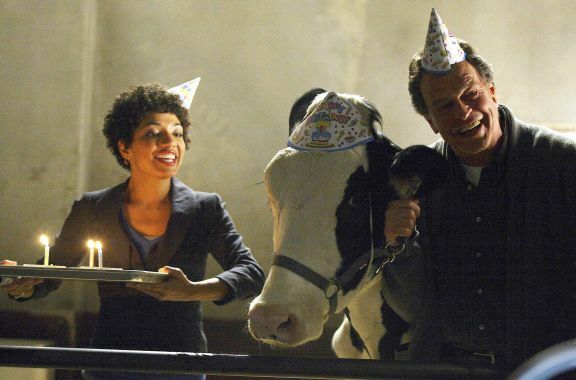 Happy Birthday to John Noble (Dr. Walter Bishop), who turns 61 today! You can leave your own birthday wish for John in the comments. The Fringe Season 2 poster contains a basketful of hidden clues. Click on the image above to see it in ultra-hires, and see if you can find them all. If you need some help, head over to the Fringe Easter Eggs section, where you will find all the answers listed. 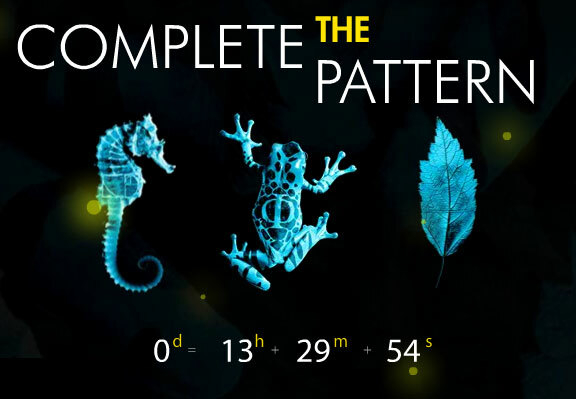 The Fringe viral site CompleteThePattern.com was created for the Fringe Season 1 Blu-ray and DVD release on September 8th. The site currently features a countdown timer, which will end tonight at midnight (EDT). You can also enter your email address to be notified when "Phase 2" starts. Here are the official cast photos for Fringe Season 2. It's nice to see Kirk Acevedo (Charlie Francis), along with Anna Torv (Olivia Dunham), John Noble (Dr. Walter Bishop), Joshua Jackson (Peter Bishop), Blair Brown (Nina Sharp), Lance Reddick (Phillip Broyles), and Jasika Nicole (Astrid Farnsworth). It's also interesting to note that Joshua Jackson's shadow is slightly different than everyone else's. The promotional trailer for the Fringe Season 2 premier on September 17, 2009. Spoiler Warning - contains scenes from upcoming episodes!